has been reduced roughly 350,000 tons in both Informa Economics IEG’s and USDA’s view. 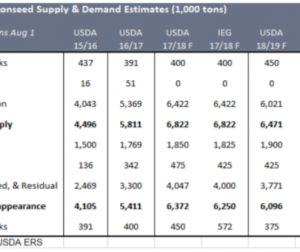 While USDA expects the reduced production to be completely offset by reductions to usage, Informa expects usage to fall less, resulting in a roughly 30,000-ton increase to 2018/19 carryout at 499,000 tons. View the full pricing report. Sign me up for periodic updates on whole cottonseed. It’s important to get your cottonseed from a reputable supplier. Use the Cottonseed Marketplace to submit a request for a cottonseed quote for your operation and get customized responses directly from qualified sellers. Click your state, or the closest state with a cottonseed supplier marked by a dot, to find cottonseed suppliers nearby. Whole cottonseed is an excellent feed ingredient for cattle, especially lactating cows. 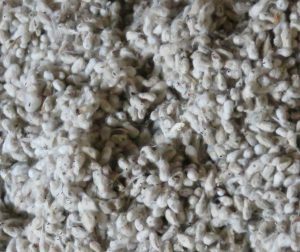 The high level of energy, protein, and effective fiber in cottonseed has the potential to increase milk production and butterfat when added to the ration.